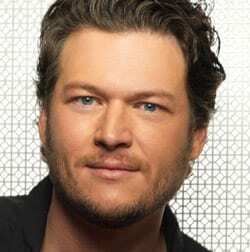 Country Radio Broadcasters, Inc.® and the Academy of Country Music ® have announced Reprise Records artist Blake Shelton as headliner of the 2011 CRS Music City Jam, to be held Wednesday, March 2, 2011. The annual Music City Jam is one of Country Radio Seminar’s premier events and has showcased some of the biggest stars in country music, including performances by Taylor Swift at CRS 2010, Tim McGraw (2009), Brad Paisley (2008), Toby Keith (2007) and Keith Urban (2006). The Academy of Country Music will once again sponsor the Music City Jam, now in its sixth year at CRS. Shelton is having one of the best years of his career in 2010, releasing two SIX PAK albums, Hillbilly Bone and All About Tonight, as well as receiving a flood of honors and awards. Both SIX PAK title-track singles, “Hillbilly Bone” (recorded with Trace Adkins) and “All About Tonight,” went to No. 1. All About Tonight debuted at No. 1 on the SoundScan Top Country Albums chart and No. 6 on Billboard’s Top 200 chart, making it his highest charting record to date. Shelton is the only solo male Country artist to earn more than one chart-topper so far this year on Billboard’s Hot Country Songs chart. So far in 2010, Shelton has won both an ACM and CMT Award and earned four CMA Award nominations, including one for Male Vocalist of the Year. Country Radio Seminar 2011 is held March 2–4, 2011, at the Nashville Convention Center. For more information about Country Radio Broadcasters or Country Radio Seminar 2011, visit the official CRB website at www.CRB.org.